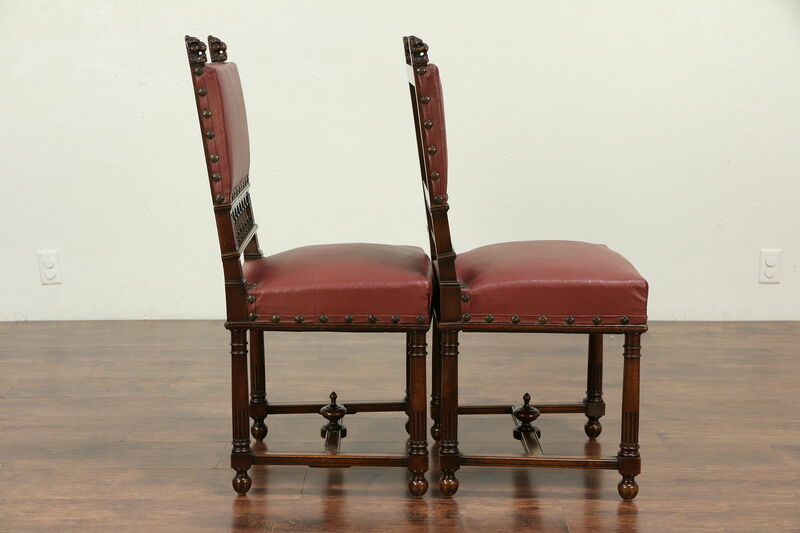 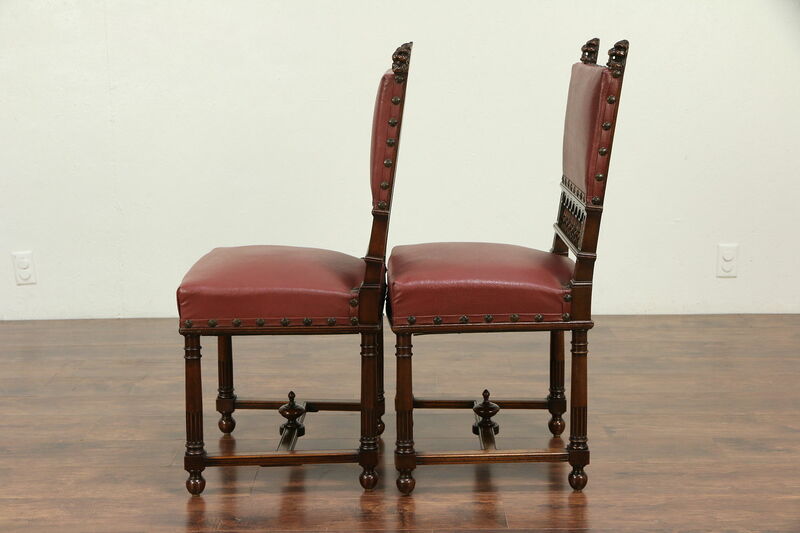 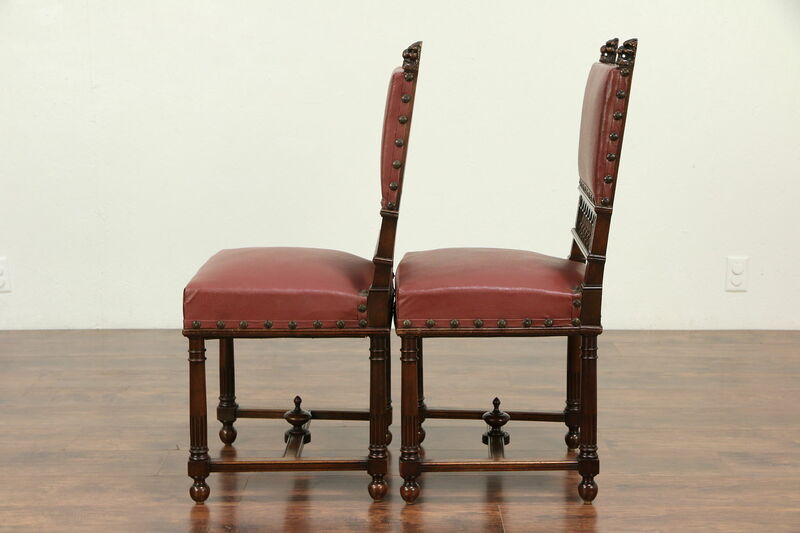 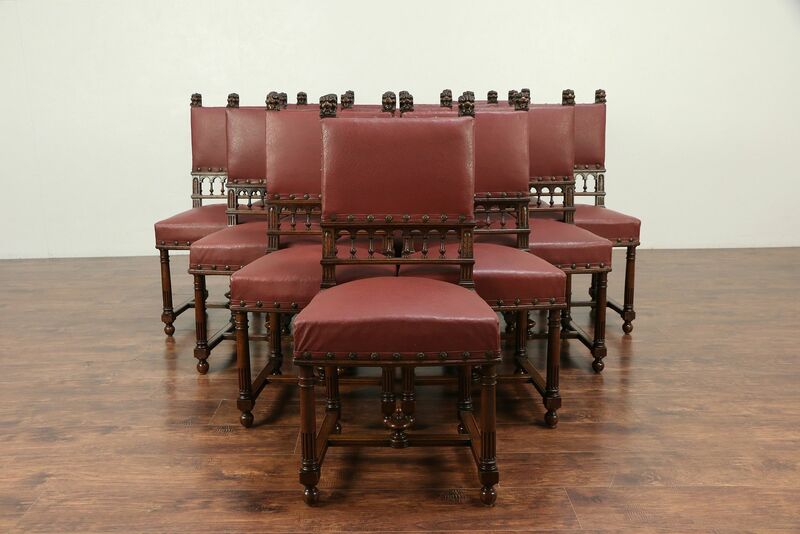 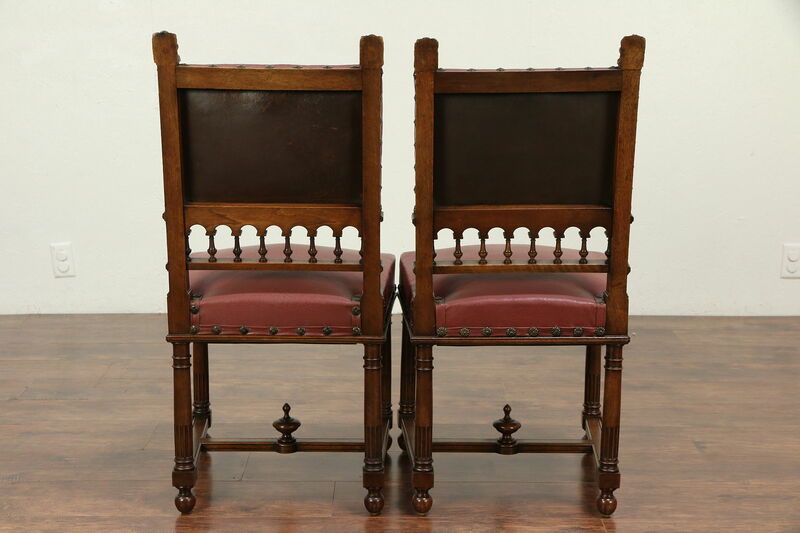 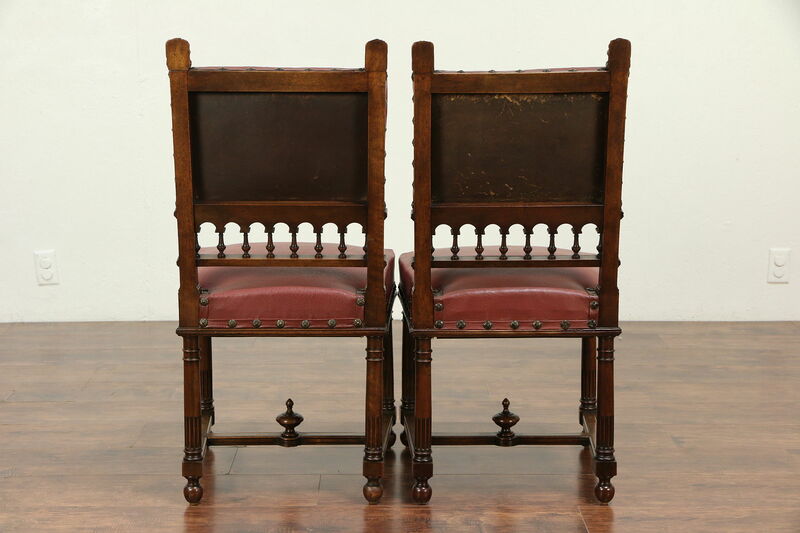 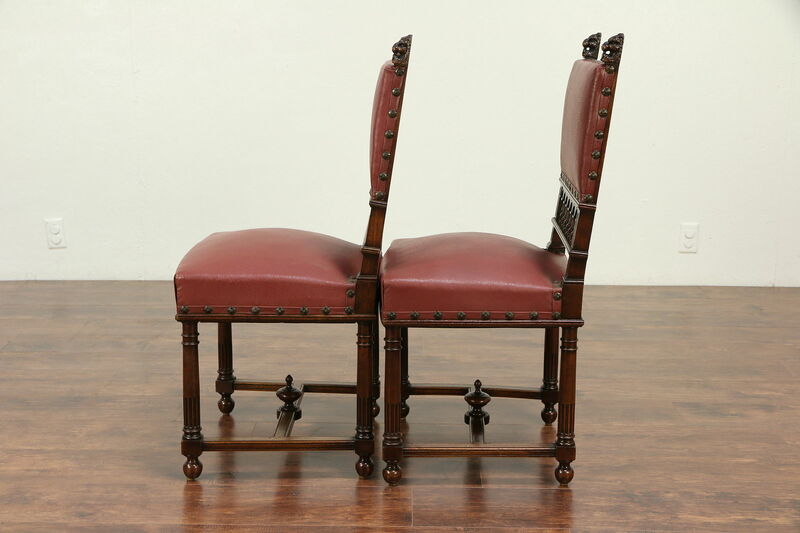 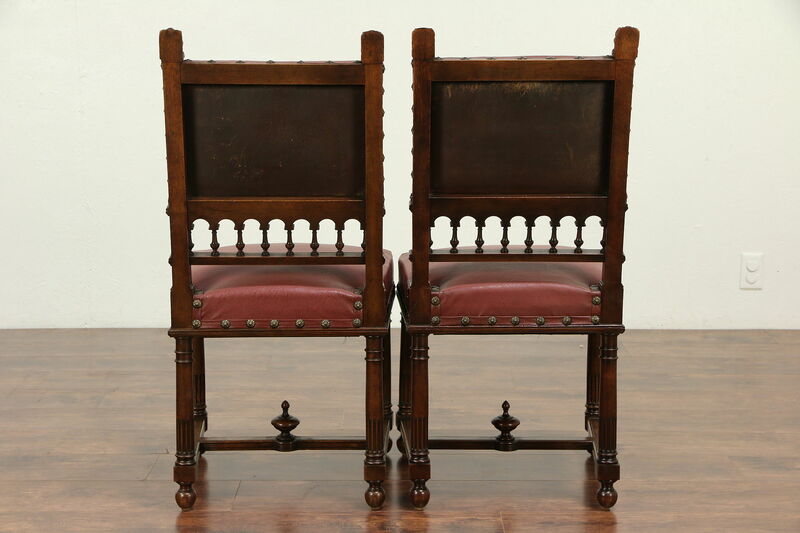 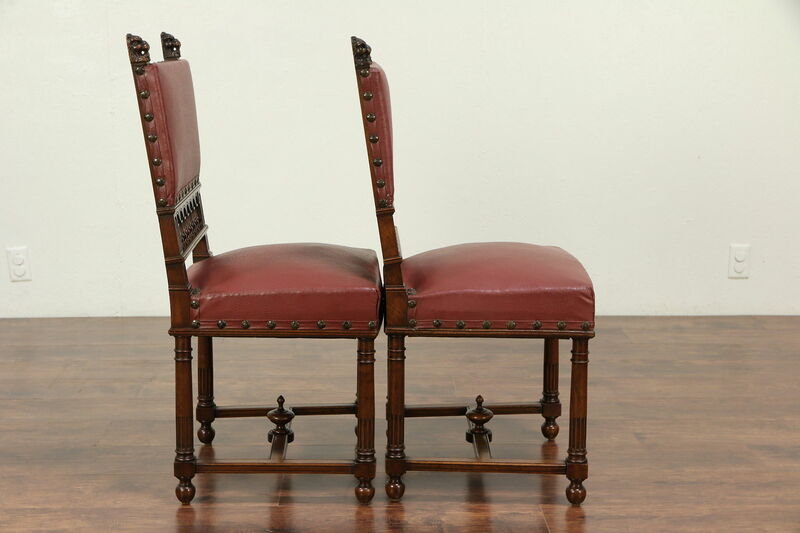 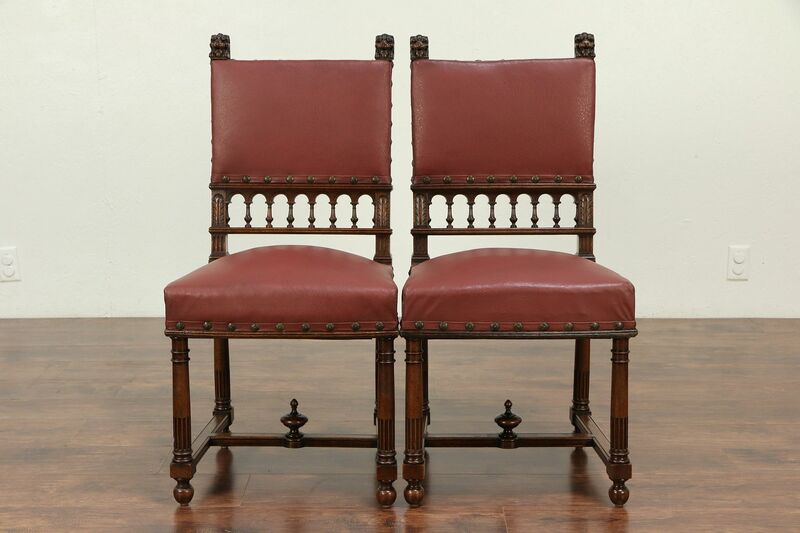 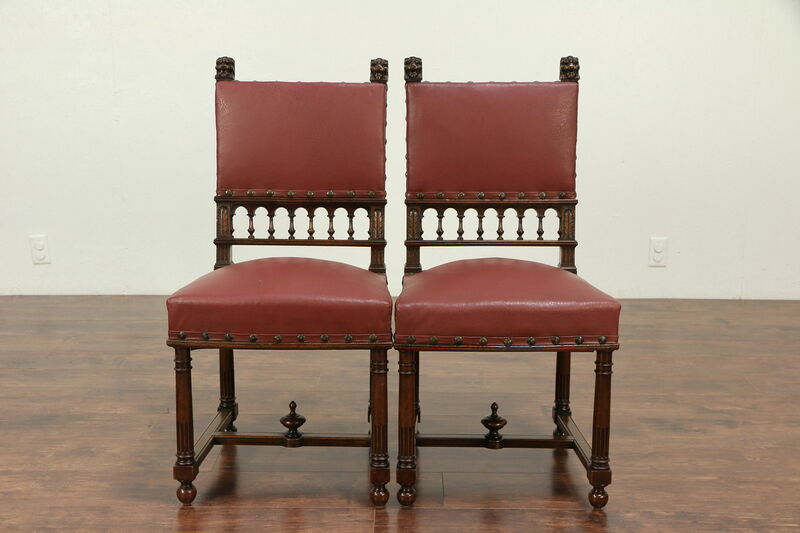 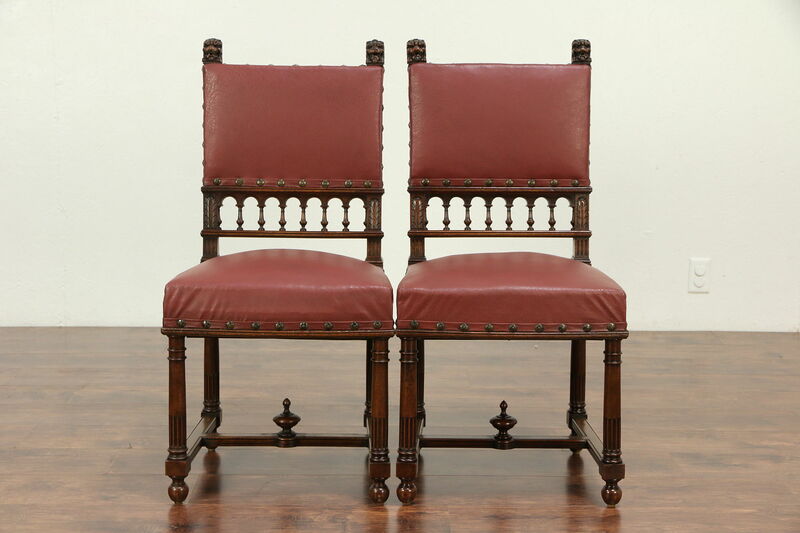 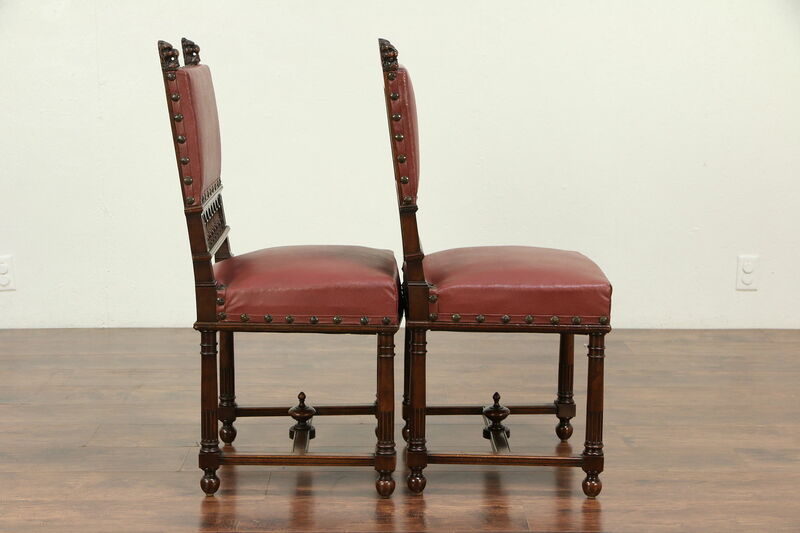 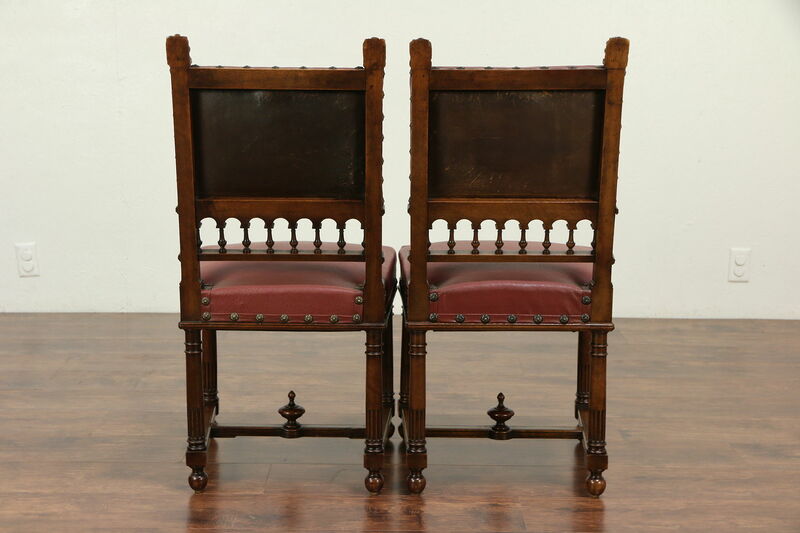 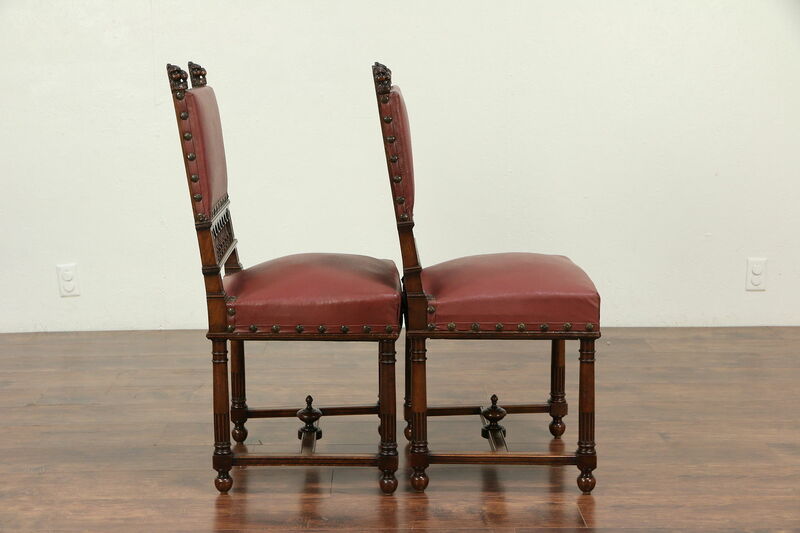 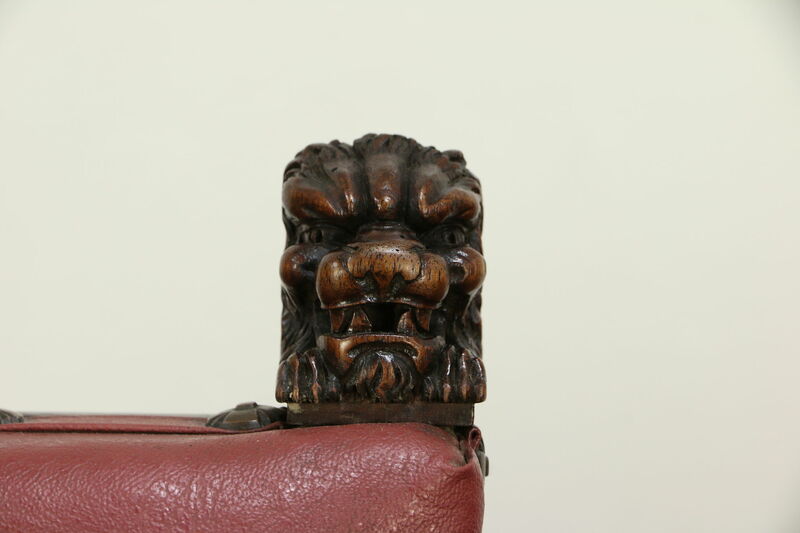 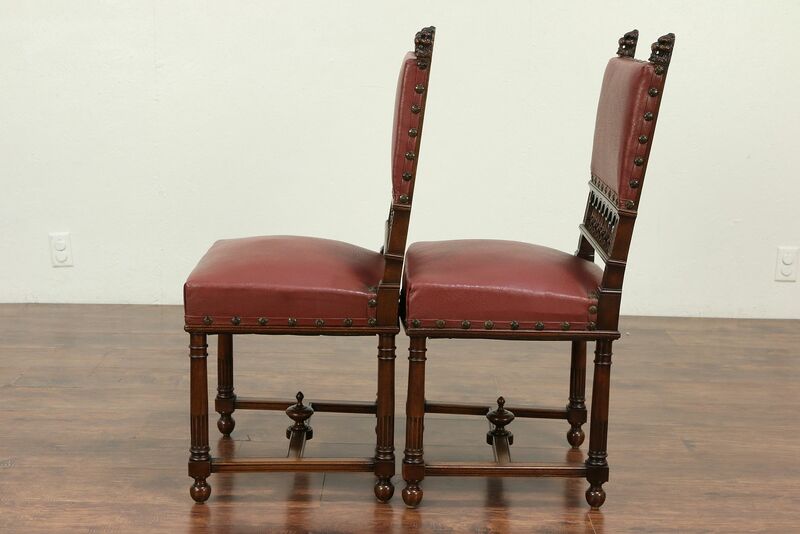 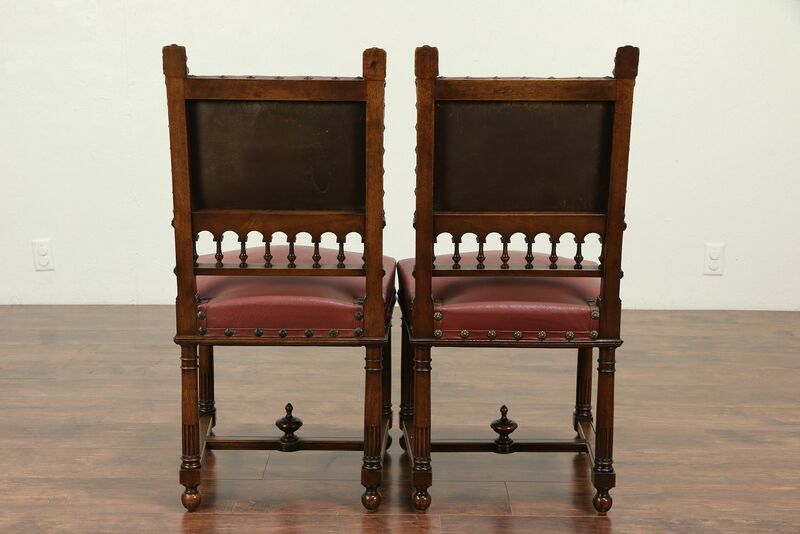 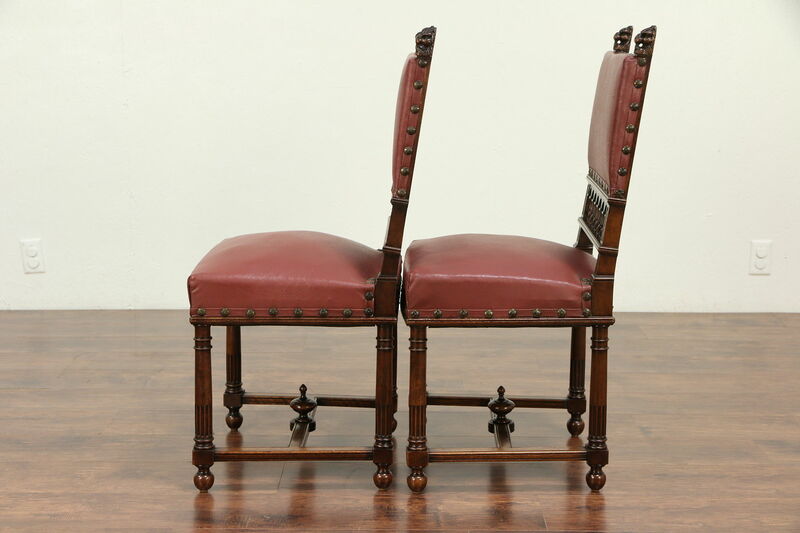 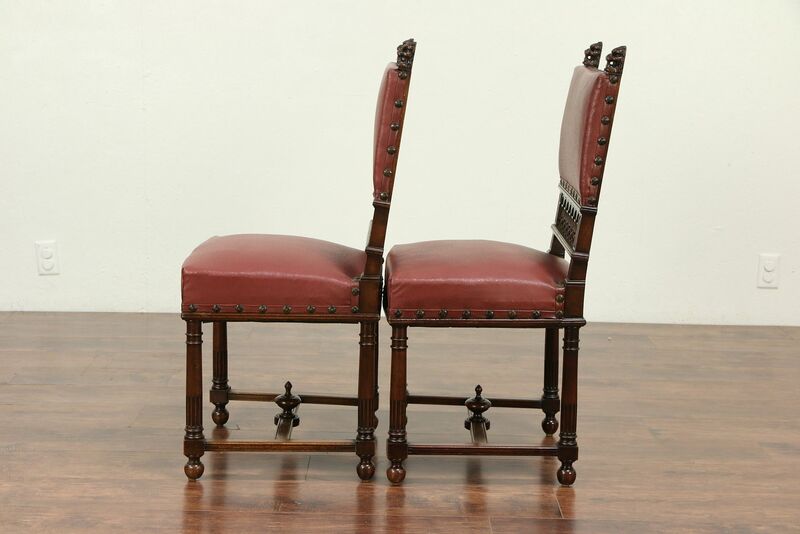 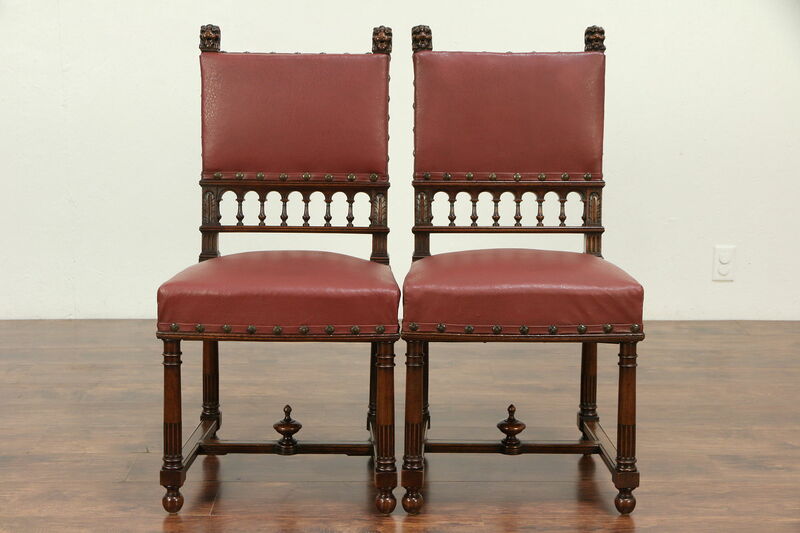 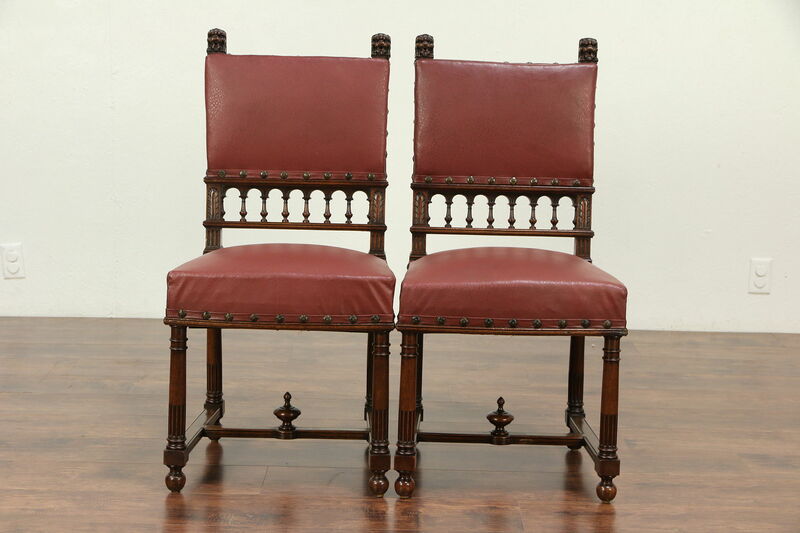 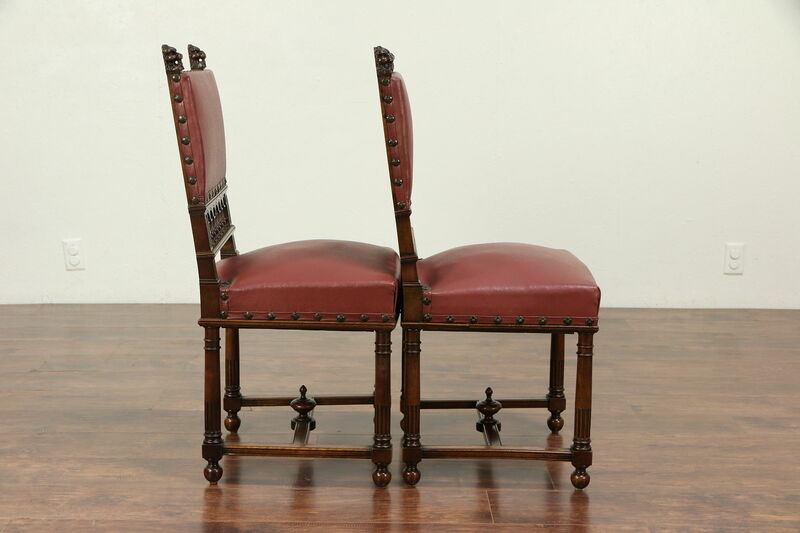 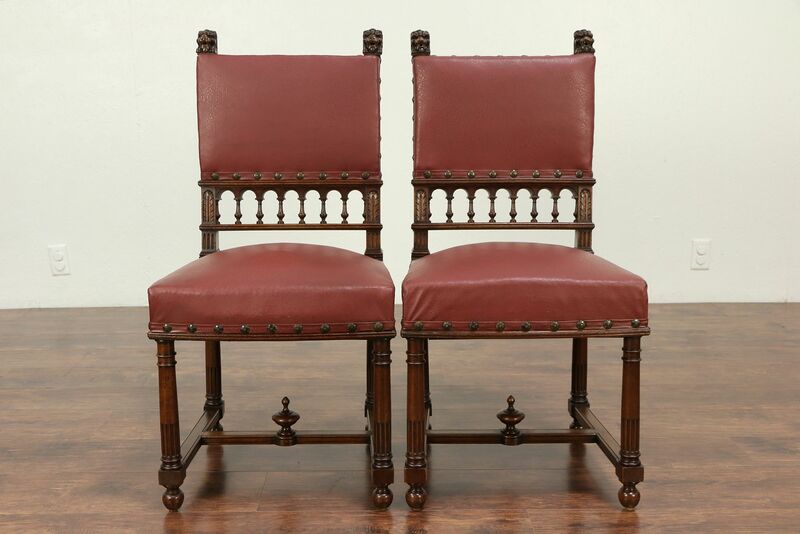 A set of 12 dining chairs was hand carved of solid walnut with lion heads about 1895 in Italy. 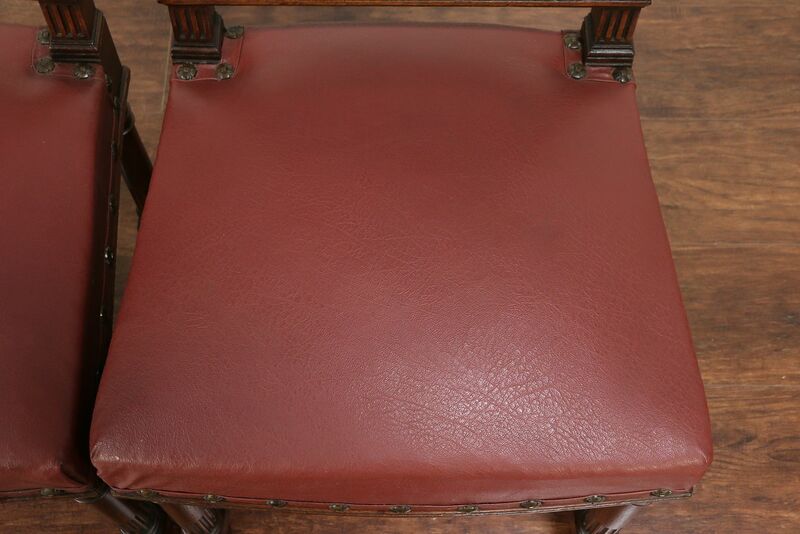 Older faux leather upholstery with brass nail head trim is in very good condition. 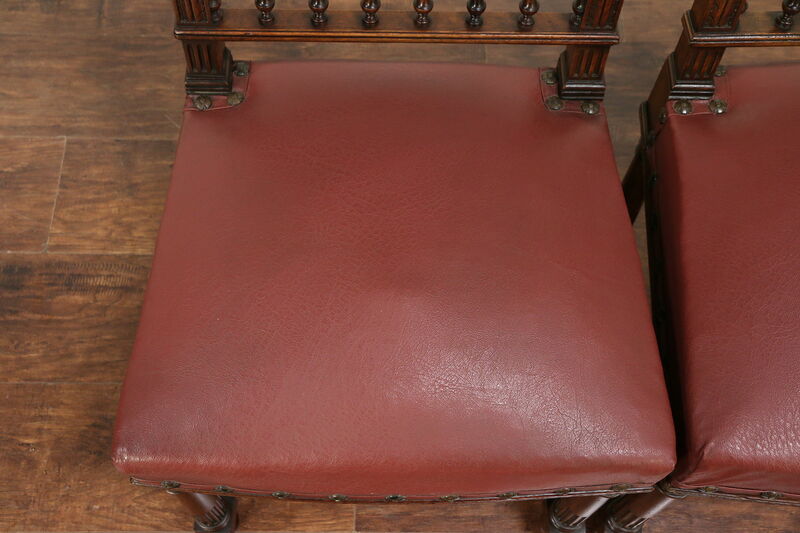 The original finish is very well preserved, there are minor restorations. 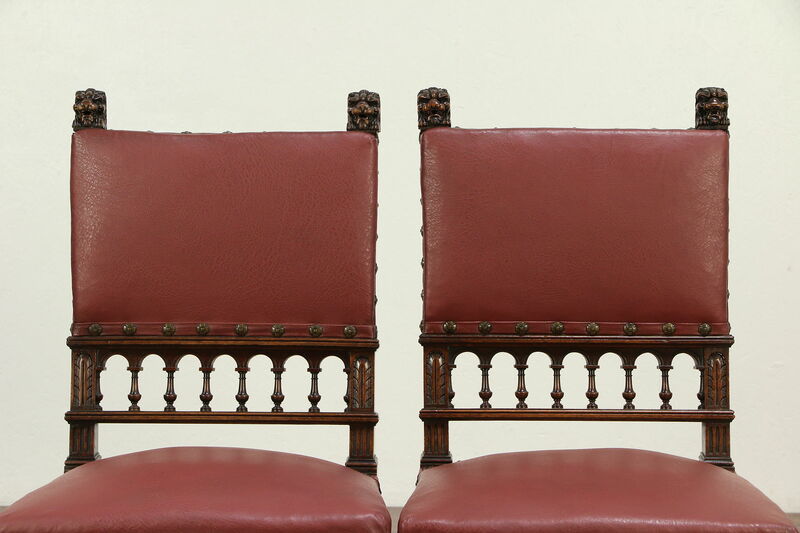 Springs are supportive and have reinforcement underneath. 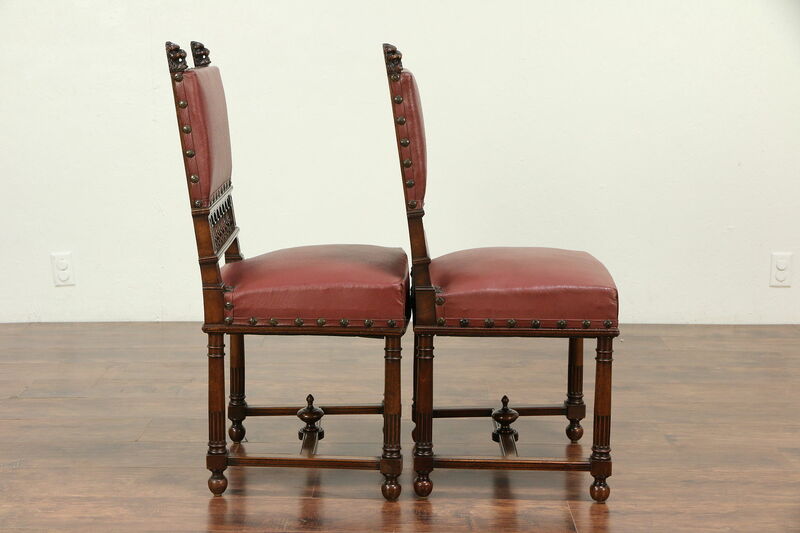 Frames are strong and tight on this antique European furniture with fine detailing. 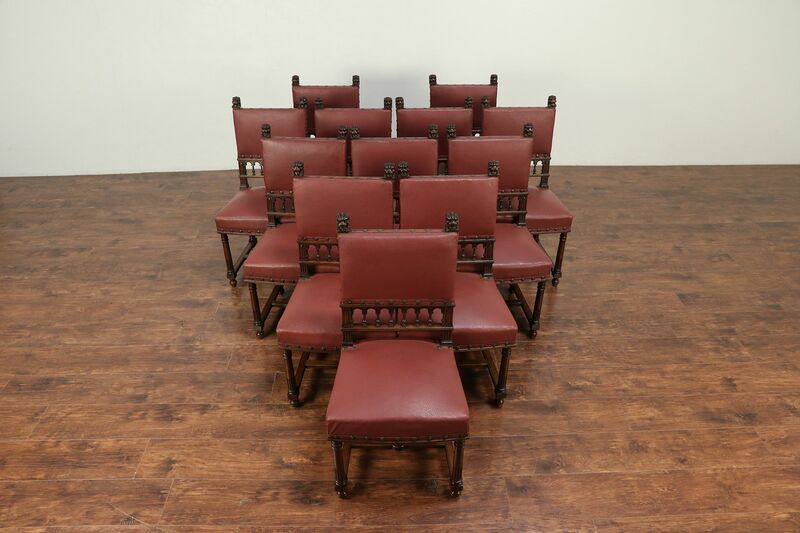 Size is 18" wide, 21" deep, 38" tall and seats are 19" high and 16" deep.